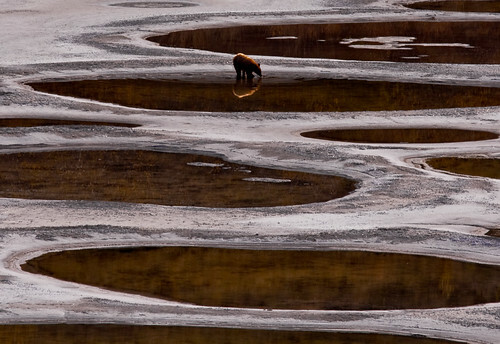 From following photographs it looks as if with the onset of winters, some water body has started to freeze. However the reality is totally different. 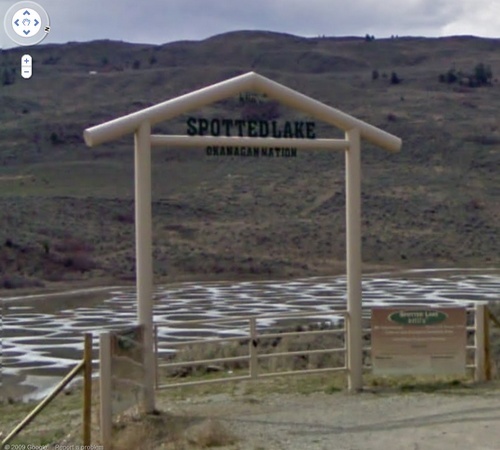 These are images of mineral deposits in a lake which derives its name from its appearance and is therefore called "Spotted Lake". 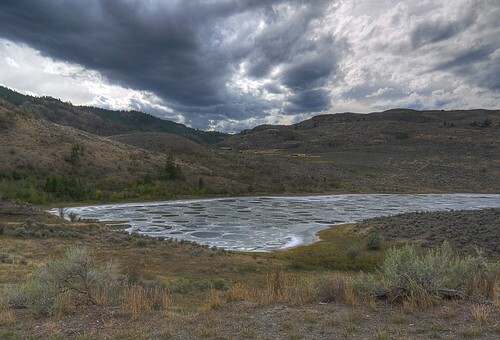 It is a saline/alkaline lake near the city of Osoyoos, British Columbia, Canada. The lake contains some of the highest quantities (in the world) of magnesium, calcium and sodium sulphates. It also contains extremely high concentrations of 8 other minerals as well as some small doses of four others such as silver and titanium. 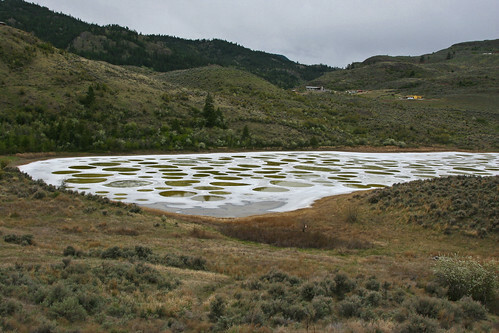 Due to evaporation, the surface of the lake is often spotted with nearly transparent rings of salt crystals, which float on or near the surface and afterwards sink to the bottom. 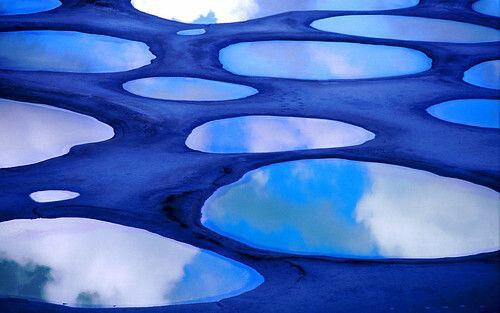 The spots on the lake have different colours depending on the mineral composition. Majority of the spots are made mainly of magnesium sulphate. 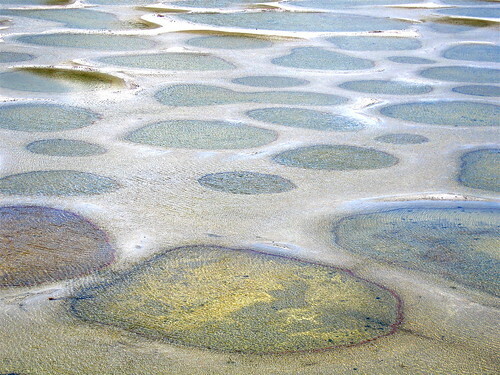 In the summer, most of the water in the lake evaporates, leaving behind the minerals crystals which harden to form natural walkways around and between the spots. During the First World War the salts were mined from the lake to make explosives. Presently the lake is cordoned off and access to it is not allowed, as it is considered sacred land by the local tribal people. Credits: I am thankful to ElCangri, whose post in Google Earth Community brought this fantastic lake to my knowledge. Thank you ElCangri.